Job-hunting in today’s downed economy is taxing and hectic. There are a number of employment resource sites you can turn to, but when making a transition from a clinical to a non-clinical role within the medical field, you often have to market yourself a bit differently from others. Creating a website for the sole purpose of marketing your employability is advantageous and can help you secure that role, while providing a platform for your employers and colleagues to get to know you. When creating a website there are two main things you will want to explore: the company that provides the website, and the product itself. By learning more about these areas you can find a quality company that provides a product as great as the people who bring it to you. Website companies are a dime a dozen. But finding a company that is run by dedicated customer service specialists and industry leaders is not so easy a task unless you know what to look for. When researching website developers you will want to look for companies that provide platforms for meeting its employees. After all, consumers want to know who is handling their online reputations. By doing a simple Google search you can read yodle reviews from employees and get a good feel for the company. After all, if people are passionate and excited about their roles in the company, you know you are getting a good product. You will also want to know what their customers have to say about the website provider. Make sure to read reviews that attest to how easy the provider is to work with, and how satisfied the customer is with the overall product. You would never wear an old wrinkled suit to a job interview. Therefore if you are launching a website to gain employment you want to make sure your site is modern, has a clean look, and runs from the best technology available. Do not hire a company that offers generic cookie-cutter templates that resemble thousands of other sites out there. Make sure the design is professionally executed and bears the hallmarks of a custom website. Purchase a domain name that is YOUR name. If one is not available, implement something into the domain that flows and makes sense. For example, if your name is Brian Jones but “www.brianjones.com” is already taken, try using “www.meetbrianjones.com” or “www.aboutbrianjones”. Do not use “.net” or “.org” at the end of your domain name. You will want to highlight your past professional accomplishments while stating your goals. Your website should also have your resume attached to it, and be linked to Facebook and Linkedin. 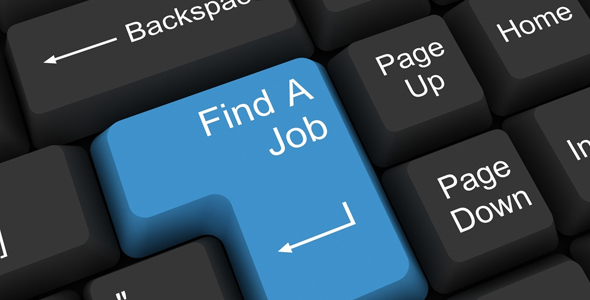 You will also want to attach your website to as many employment directories as possible. Finally, make sure the company you hire to build your website can optimize your site for the search engines. This way if a potential employer does a Google search on you, they can easily find you. Although websites are more commonly built for businesses, more professionals are using them to advance their career opportunities. Be sure to phone a few different website providers and learn how they can make you more marketable in the employment game.